Free SMS & MMS messaging to anyone in the US or Canada. 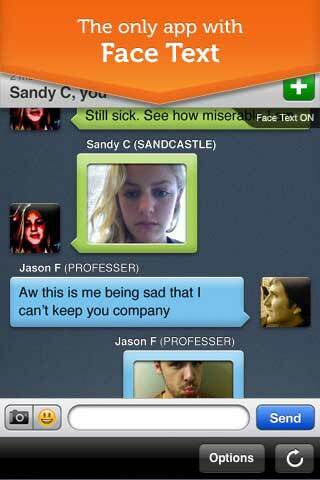 textPlus is an app for sending chat messages and traditional sms. Compatible with the iPhone, iPad, iPod Touch and now Android and any SMS enabled mobile. 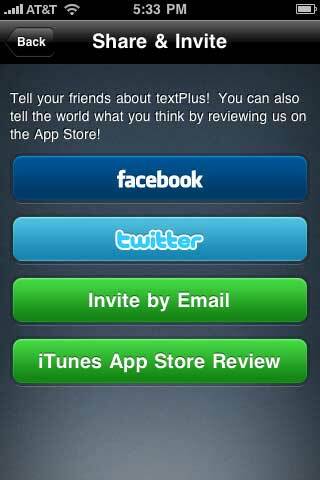 Message for free between textPlus users anywhere in the world and if you're in the US you can send sms also. Has push notification so that you'll never miss a message, and you can easily send group messages. Two US only features are that iPod Touch users can get a phone number for their Touch and iPhone users can get a second phone number just for texting with textPlus. Costs $0.99 to download.